William J. Slotnik is the Founder and Executive Director of the Community Training and Assistance Center (CTAC). 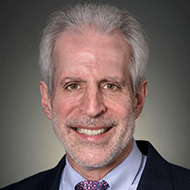 He has overseen the growth of CTAC into one of the nation’s foremost providers of technical assistance, evaluation services, and public policy support in the fields of education and community development. CTAC annually assists more than 90 organizations, school districts and state departments of education. Under his leadership, CTAC introduced Student Learning Objectives (SLOs) nationally through a landmark partnership with the Denver Public Schools and Denver Classroom Teachers Association. CTAC has more than 16 years of experience serving as the nation’s leading technical assistance provider, practitioner, and evaluator of SLOs. Mr. Slotnik has provided extensive assistance to state education agency leaders, superintendents, state and local boards of education, unions and leadership teams throughout the United States. He has guided and supported the development of replicable systems of assessment, evaluation, and accountability to determine the performance and effectiveness of school districts, school by school, classroom by classroom, teacher by teacher, and student by student. He has led technical assistance and evaluation initiatives nationally which address such issues as student learning objectives, teacher and administrator evaluation, systemic reform, compensation reform, professional development, state-to-school and state-to-district interventions, and transforming underperforming schools, as well as leadership development and organizational capacity in community-based organizations. He has been the lead or co-lead author of numerous evaluations (including It’s More Than Money, Catalyst for Change, and Pathway to Results, the first comprehensive, longitudinal evaluative studies of the impact of SLOs and performance-based systems on student achievement, teacher effectiveness and systems change) and articles, and regularly provides briefings to members of the U.S. Congress, the U.S. Department of Education, state legislatures and departments of education, and the media. 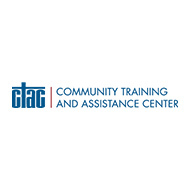 CTAC Community Training and Assistance Center (CTAC) is a national, minority-controlled, nonprofit organization with a demonstrated record of success in the fields of education and community development. Working at local, state, and national levels, they achieve significant, long-term improvements in areas such as student achievement, teacher effectiveness, and organizational capacity. CTAC works collaboratively with school leaders, teachers, parents, and community organizations to build their capacity for achieving sustainable, high-impact change.